Canada's mining industry could be on the verge of a critical shortage of skilled labour. Some estimates predict a shortfall of 100,000 workers over the next 10 years as older miners retire and new mines begin production. In B.C., the shortfall could be as many as 10,000 workers. Glen Paul still remembers his first week on the job at a copper-gold mine in British Columbia's Interior — a position, he says, he landed three years ago as a "fluke" after taking a course to operate heavy machinery. Paul says he didn't start his training with a specific plan to end up in the mining industry, but there he was at the New Afton project near Kamloops, which at the time was still two years away from full production. 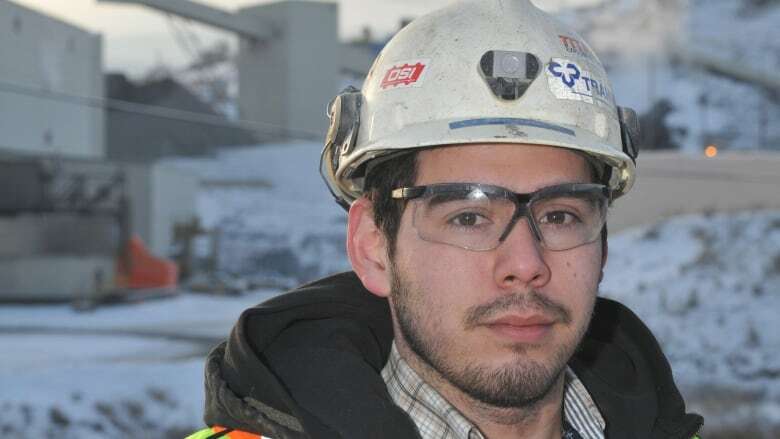 "It was slightly overwhelming, because I've never been to a mine before, I've never seen one," says Paul, 24, who grew up on the Kamloops Indian Band reserve and was connected to the job through the B.C. Aboriginal Mine Training Association. "When I was younger, I really liked geology... I've always been interested in machines, and after I got to see everything underground and to see some of the machines I had a possibility of working on, I was hooked." Three years later, Paul is still at the mine, owned by New Gold Inc., where he now works as a technician lubricating and servicing equipment. He has completed a pre-apprenticeship course and is waiting for a heavy duty mechanic apprenticeship to open up. "There's lots of room to grow," he says. "If I get my apprenticeship, that would be awesome." The dire predictions of a skilled labour shortage in the mining industry became intertwined during the past year with a controversy in B.C. over the use of temporary foreign workers. A Chinese mining firm's plans to bring 201 Chinese miners to a project in the northern part of the province drew ire from across the political spectrum and prompted two unions to launch a legal challenge, which ultimately ended in the company's favour in May. HD Mining insisted it could not find enough trained miners, governments used the controversy to pledge renewed focus on training, unions said there were enough skilled workers in Canada, and industry groups warned such cases could become more common if more isn't done to head off the labour shortage. The council predicts about 146,000 workers across the country will be needed in the next decade to replace retirees and work in new projects. Strong growth in the industry would increase that figure, the council said in its 2013 labour assessment. But the council predicts the expected pool of new talent won't meet the demand. It identified 66 occupations in what it described as "core mining activities," saying that about 79,000 people will need to be hired in those fields, while only 63,000 new workers are expected to be available. Is Canada becoming dependent on temporary foreign workers? The Canadian Chamber of Commerce published a report earlier this year that similarly warned that a glut of new workers entering the mining industry in the 1980s and '90s created a "lost generation of miners" that will make it difficult to replace retirees. Ryan Montpellier, executive director of the human resources council, says the industry and governments must ensure they have a long-term vision for attracting and retaining workers from a broad spectrum of society. His group says immigrants, aboriginals and women are underrepresented in the industry, and programs to recruit and train them will be essential to fill the projected gap. He acknowledges some companies may turn to temporary foreign workers to fill short-term positions, but he insists the industry recognizes the importance of hiring permanent workers — either Canadians or permanent immigrants — who he says are less expensive and more sustainable in the long term. "The question is, 'Where are these people going to come from?' I think I can speak for the majority of the mining industry that says, ideally, where possible, employers prefer to hire local," says Montpellier. He says the mining industry could learn from Alberta's oil patch, which has hired people from across the country. The story of the Newfoundlander commuting to Fort McMurray, Alta., has become something of a cliché. The Canadian Chamber of Commerce report contained a number of recommendations it said could help head off the labour shortage. A Labour Market Opinion is a document issued by Human Resources and Skills Development Canada, and a "positive" opinion is required in order to obtain a permit to hire a temporary foreign worker from Citizenship and Immigration Canada. They included policy changes to better match economic-class immigrants with the needs of employers, continued funding for programs designed to increase First Nations employment, detailed tracking of labour market conditions and a system to ensure high schools and colleges are better informed about potential labour demands. Despite the controversy surrounding B.C. 's Chinese miners, the industry accounts for a relatively small portion of the total number of temporary foreign workers in Canada, according to federal statistics. In the first half of this year, Human Resources and Skills Development Canada issued about 104,000 positive labour market opinions, the document required to obtain a foreign worker permit from Citizenship and Immigration Canada, according to statistics on the department's website. Of those, 1,815 were listed in "mining and oil and gas extraction." In B.C., there were 75 positive labour market opinions issued for the mining and oil and gas industries between January and June, out of nearly 15,000 across all industries. The federal government announced changes to the temporary foreign worker program earlier this year, such as charging fees for applications, removing the ability of employers to pay foreign workers below-average wages, and placing restrictions on language requirements. Brian Battison, a spokesman for Taseko Mines Ltd., which currently operates the Gibraltar copper-molybdenum mine in central B.C. and is currently seeking approval for its New Prosperity gold-copper project, says his company has no plans to use temporary foreign workers. Still, he says the company is mindful of a possible labour shortage. Battison says Taseko currently has 600 resumes on file, but that doesn't mean all of those prospective workers have the specific skills the company needs. In those cases, the company works with post-secondary institutions to recruit students and attempt to steer them on a route to working for the company in the future. "We try to have the long-term view and we work the universities in this country, trying to find these people who are on the track to becoming the mining engineer or the mechanical engineer or the geologist," says Battison. "We try to interest them in Taseko now, and the British Columbia lifestyle." The B.C. and federal ministers in charge of skills training each declined requests for interviews on the subject of skills training within the mining industry. A spokesman for federal Employment and Social Development Minister Jason Kenney pointed to a speech Kenney delivered to the Mining Association of Canada last month, in which he acknowledged the prospect of a skilled labour shortage, though he suggested the precise scale of the shortage was difficult to gauge. Kenney listed off federal policies he argued would ease the crunch, including immigration rules that focus on skills and are designed to match immigrants with employers. He also lauded changes announced earlier this year to the Canada Jobs Grant program, which would divert $300 million in federal funding to create $15,000 grants for workers, split three ways between Ottawa, the provinces and employers. Provinces and territories, including B.C., have come out strongly opposed to the program. The B.C. government was among the few ardent supports of HD Mining's plan to bring in Chinese miners, but the debate also put the provincial government on the defensive about its own labour policies. The government acknowledged concerns about a skilled worker shortage within the mining industry and attempted to weather the controversy by promoting its own job training plans, including funding for post-secondary training, such as through the federal-provincial Employment Skills Access programs, and money for the Mineral Exploration and Mining Industry Labour Shortage Task Force. "We are committed to ensuring that British Columbians are first in line for these jobs," B.C. Jobs Minister Shirley Bond said in a written statement. "We will need to develop strategies, however, to address short-term spikes in labour demand where there aren't enough local workers. Welcoming new British Columbians permanently to the province and having the right number of skilled temporary workers will be essential to many major projects." 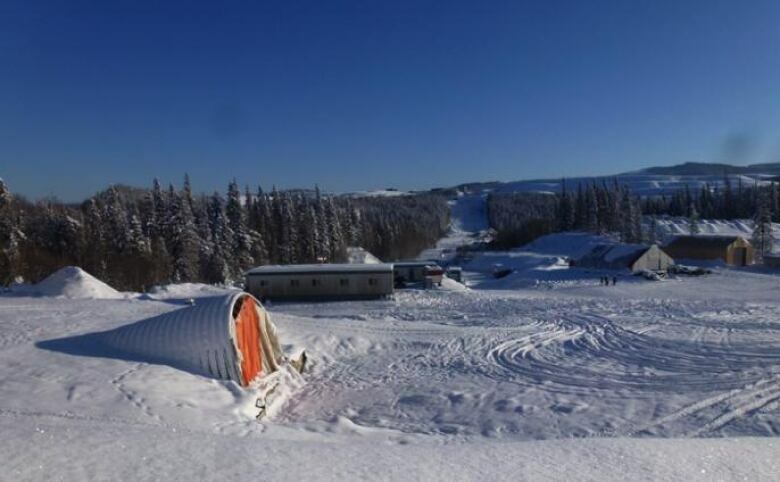 HD Mining declined to comment on the current status of its project, but local media reports have suggested a group of temporary foreign workers was expected to arrive at the site, near Tumbler Ridge, in September as the company proceeds with its sampling work. The company has released a transition plan that would see Canadian workers trained and phased in over more than a decade, if the mine is approved. To that end, it has signed an agreement with Northern Lights College to develop a curriculum for an underground mining program. INTERACTIVE | What are the steps in hiring a temporary foreign worker?